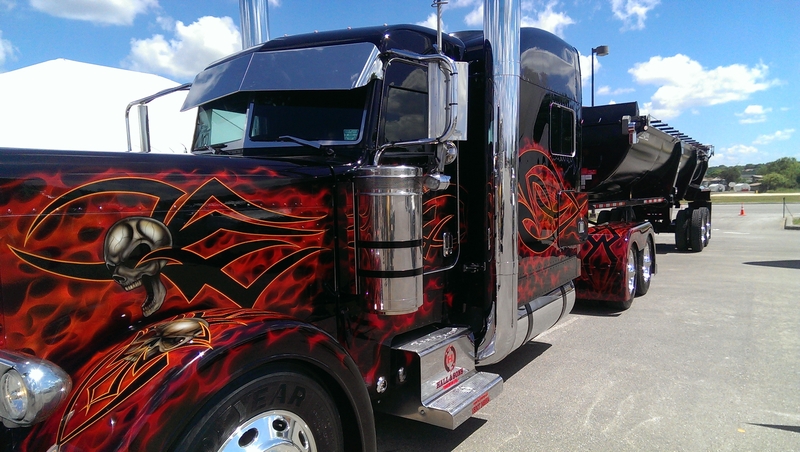 As I walk down the side of a beautifully crafted and well-designed trailer I’m left in awe and wonder at how long it must have taken someone to paint this beautiful rig. The carefully selected colors with the multiple man hours of the design judiciously aligning each piece of the puzzle to insure that the whole art piece came together so beautifully. I continue to make my way to the front as I notice each piece of metal looks as if it has been polished for hours. It glimmers as the sun hits the chrome just perfectly to make me glad I remembered to wear my sunglasses. It still baffles me that someone would actually take this work of art on the road placing it in harm’s way of dirt, grime, rocks, and insects. How could someone spend so much time on something so beautifully hand crafted only to endanger the hard work someone put into it. It’s almost a crime to put this talent back on the road. Where do you ask were we hiding this weekend full of art and awe inspiring wonder? This weekend we had the privilege to experience something very few get to embrace. 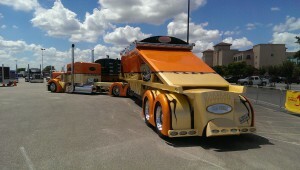 We were at the Shell Rotella Super Rigs Show right outside of San Antonia Texas. 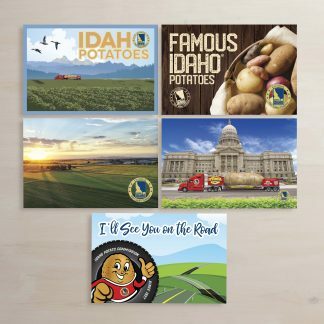 When I first signed on for this job being a brand ambassador for the Big Idaho Potato and touring the country I never expected I would experience what I did this weekend. If you were a spectator checking out the scene this weekend with the many magnificent rigs and fine pieces of art you would not get to experience the underground show that occurred this weekend. You may be impressed by the fantastic job these guys do day in and day out only to have a mere few days to celebrate the hard work they put in but you’d still not gain the level of respect that I have now for what they do. I feel like I had gained a better understanding and level of respect after experiencing 7 weeks on the road right next to Phylliss Johnson, an amazing woman that works extremely hard to say the least. 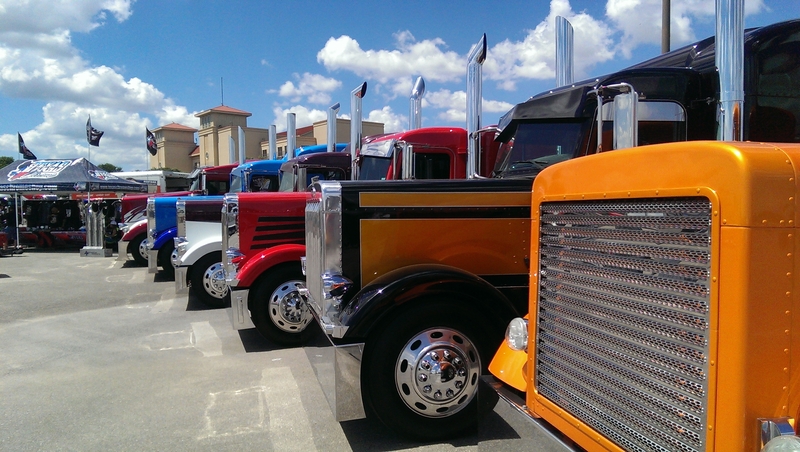 Because I worked the booth this weekend I got to see firsthand the level of respect and pride in ones who call themselves truck drivers, long haulers, big riggers, night riders, or cross country bandits. Most everyone that I came in contact with either knew someone, was related to someone, or worked themselves as truck drivers. I myself was mistaken for the driver of the truck at times because of where the booth was placed. I shook each person’s hand that I came into contact with looking them in the eye and sensing something deeper behind their firm grasp. It was almost as if there was a hidden brotherhood like they had served in the army together fighting in battle alongside each other or they were long lost friends from their childhood. It was an unspoken bond that stay hidden unless, like I said, you got to experience it firsthand. 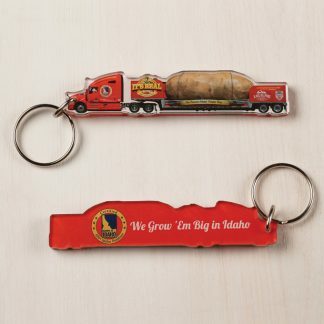 I quickly set the record straight that I, myself, was not the driver of the Big Idaho Potato but the brand ambassador. 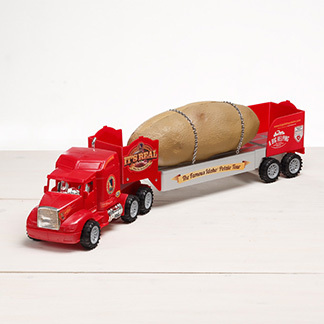 I didn’t sign up for the many stresses and hard work it takes carefully maneuvering the massive spud safely across the country. Riding in the truck I also get to experience the many levels of respect amongst each driver as they share the road traversing to their next destination using their CB’s as if a warning beacon for danger that lie ahead. I was happy to see this level of resect in an underground world and I give a big shout out to all the truck drivers out there that put in the many long hours traveling the dangerous roads and put in the extra time and effort to deliver our precious packages safely and on time! 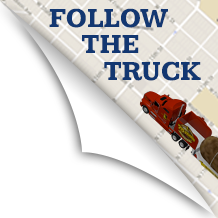 Thank You and Keep Truckin!